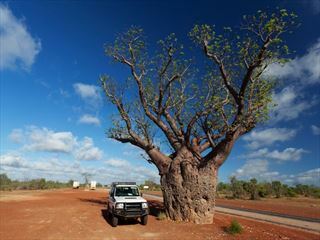 This nine day tour shows off some of the rarely-seen beauty of the south west coast of Australia. 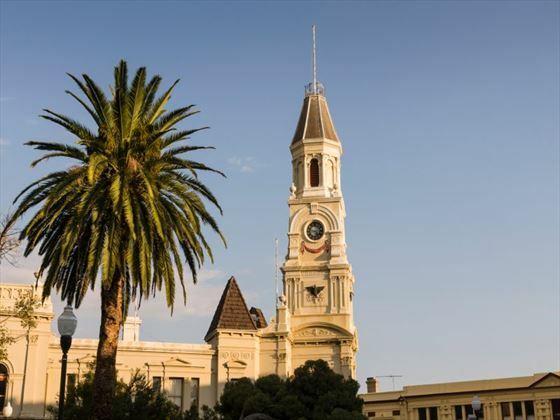 Your tour will start and end in the wonderful city of Perth, a true cultural melting pot that offers everything from great restaurants to lovely museums and galleries. 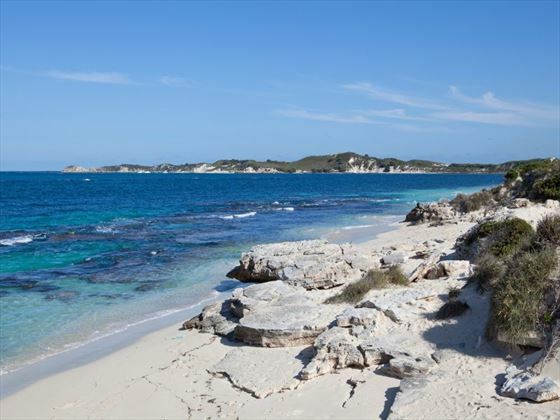 You’ll visit delightful scenic spots including Rottnest Island and the forests of Pemberton. Later you’ll enjoy the fine sandy beaches of Busselton (AA - ATS). Upon arrival into Perth, you’ll be transferred to your hotel to check-in and relax. 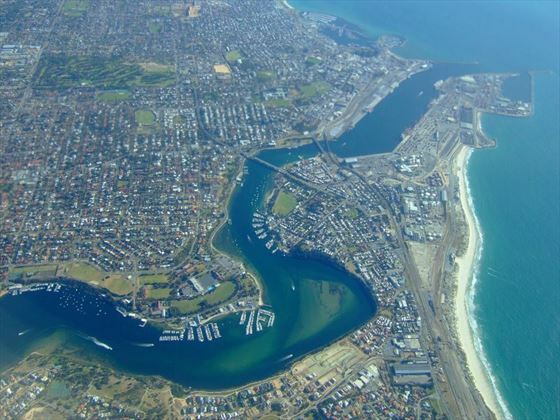 The rest of the day is at leisure for you to explore Perth at your own pace. Today you will travel to the beautiful Kings Park Botanic Gardens to see panoramic views of the Swan River, Perth’s city skyline and the Darling Escarpment as you walk through the tree canopies on the Tree Top Walkway. 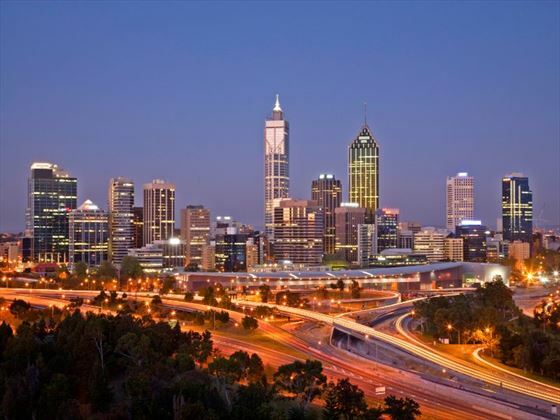 Take in the must-see sights of Perth and Fremantle, passing Perth’s exclusive suburbs, starting at Kings Park, the lush green heart of the city and one of the world’s biggest inner city parks. Walk through the tree canopies on the Tree Top Walkway for views of the Perth city skyline and see the 750 year old Boab tree. Keep your eyes peeled for vibrant birdlife and be sure to listen out for the merry laugh of the native Australian kookaburra. Next enjoy a picturesque drive along Cottesloe beach, or ‘The Cott’, one of the most popular Australian west coast beaches. Wander the streets of historic Fremantle, a centre of cosmopolitan cafés and restored old buildings. Relax on a cruise along the Swan River via some of Perth’s most exclusive suburbs and as you near Perth city you’ll cruise past Royal Perth Yacht Club and the University of WA. Enjoy a full day of the sub-tropical island of Rottnest today, with a cruise down the Swan River to Fremantle, 19km off the mainland. 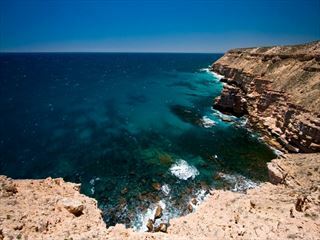 This car-free island has unspoiled sandy beaches, secluded bays, shipwrecks, a colourful history and amazing wildlife. Enjoy a comprehensive coach tour and a full circumnavigation of the island with expert driver commentary. You’re sure to encounter a Quokka! 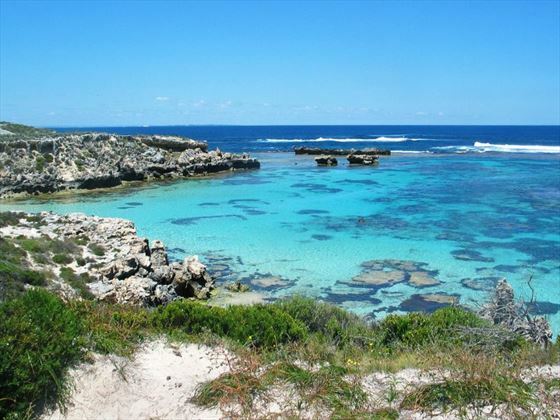 Stop at some of Rottnest’s most spectacular locations, including the Wadjemup Lighthouse and the majestic lookout point at the rugged West End. Enjoy Lunch at Rottnest Lodge. Later, there is time at leisure before re-boarding your ferry for your return to Perth. Today after breakfast you will pick up your hire car, leaving Perth in the morning and travel south to Bunbury for a brilliant Dolphin Watch Eco Cruise (own expense) for a glimpse of these beautiful animals - please note the whale cruise departs at 11:00am and driving from Perth is approx. 2 hours. The cruise ticket also includes admission to the Dolphin Discovery Centre. You’ll then continue to Busselton before arriving at Margaret River, a spectacular area home to some of Australia’s most acclaimed wineries. 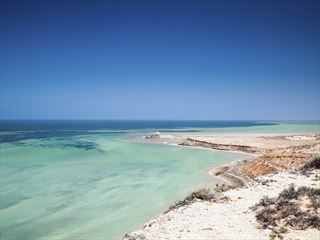 The town is well known for its surfing beaches and magnificent coastal scenary. The day is free for you to explore the wonderful wineries at Margaret River. After sampling fine wines, head to the beach and tuck into delicious gourmet delights. Some of the must see attractions include Busselton Jetty and Underwater Observatory, Cape Naturaliste Lighthouse and the Ngligi Cave. Your journey today takes you along the scenic Caves Road, where you can stop at Cape Leeuwin Lighthouse too see two oceans meet. Once in Pemberton you’ll have time to wander through the forest that’s home to some of the tallest trees in the world, or see it all from the Pemberton tram. Natural fresh waterways and lakes are prevalent in the region, so why not pick up some local wine and produce to enjoy a picnic. Your journey to Albany is a scenic one, with plenty of fascinating stop-off points. Begin by exploring Pemberton’s art galleries before driving to Northcliffe and following the famous forest sculpture walk. You’ll then visit the Giant Tingle Tree and witness the only place in Western Australia where forest meets the sea, before continuing your journey to meander along the impressive Valley of the Giants Treetop Walk (at own expense). The route then takes you to Elephant Rocks and Greens Pool before entering Albany, a beautiful city overlooking the Princess Royal Harbour. The day is free for you to explore Albany. We’d recommend walking the Amity Trail and visiting Whale World to delve into Albany’s whaling history. If you’re travelling between June and October you may catch sight of a Humpbach or Southern Right whale. Depart for Perth today taking the Albany Highway - you may wish to visit the Stirling Range National Park - the only Alpine area in Western Australia. Note: Your car is booked until tomorrow and should be dropped off at the city or airport at the same time it was collected on day 1, to avoid any additional charges. Spend today at leisure, making the most of the attractions and surroundings, before making your way to the airport for your departure. Today marks the end of your trip.